All the Aditya's II & III B.Tech students are hearby informed that Aditya's Technical Hub is going to offer two months summer In-Campus Internship program during the summer vacations i.e. after completion of II semester examination. The timings will be 9:30 AM - 4:30 PM. You will have SUNDAY HOLIDAY. The Dress Code will be Civil Dress but Formal Wear. You will have a Biometric access at institution besides regular attendance at college during week days. On successful completion of internship you will be issued with an experience letter. Stipend will be paid. Separate Id Cards will be issued. 1) To help students get to know about latest industry trends and be job ready. 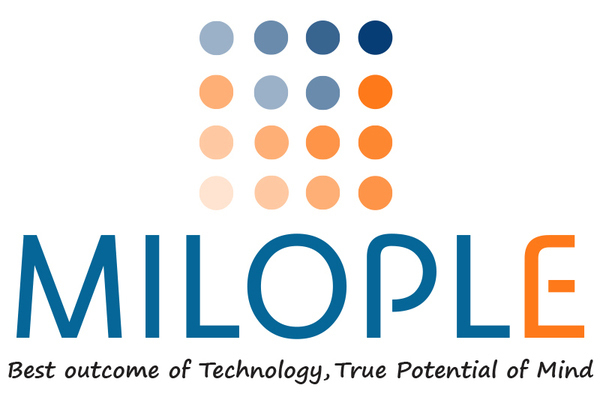 2) Identify right candidates at the end of program to let them join Milople. Here is how the program goes. 1) An half an hour interaction with students to introduce company and industry. 2) Online tests to evaluate students under various skills like programming, design, communication etc. 3) we will keep giving various tasks, projects and information to the group. The students will be able to work on those and get some experience and exposure. They will do dedicated internships staying into their college during long holidays. 4) Out of the work executed during entire semester, we may ask few of them to join our 1 month internship program at either of the Milople Office. They will receive a stipend for that. 5) A job or long term internship (3 to 6 months) may be offered based on this short term 1 month internship. 6) Student will not be paid anything for in-college work. We are planning to recruit 150 interns. Salary: 2.5-4.5 l.P/A after successful completion of 3-6 months of internship. No payments during internship. 2. Only T-Hub Shortlisted Students. The duration of Internship will be for 3 months (02/01/2018 - 31/03/2018). First one month you will be on probation period. The timings will be 9:30 AM - 4:30 PM. You will have SUNDAY HOLIDAY. The Dress Code will be Civil Dress but Formal Wear. You will have a Biometric access at institution besides regular attendance at college during week days. Stipend 5000/- will be paid. Separate Id Cards will be issued.